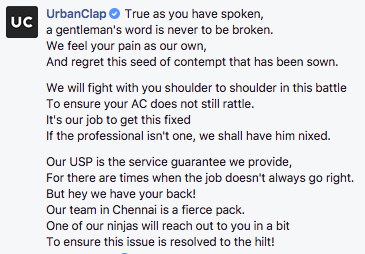 At a time when social media has become a means to vent outrage at individuals and companies alike, a poetic duel between a disgruntled customer and home services startup UrbanClap is winning hearts on Facebook. Somak Ghosh, supply chain analyst at Dr Agarwal's Eye Hospital (as stated in his bio on the social networking site), took UrbanClap to task over unsatisfactory AC repair service. Instead of the state-the-problem-and-curse routine, however, he poeticised the issue, penning some powerful and zany lines that brought out his disappointment. 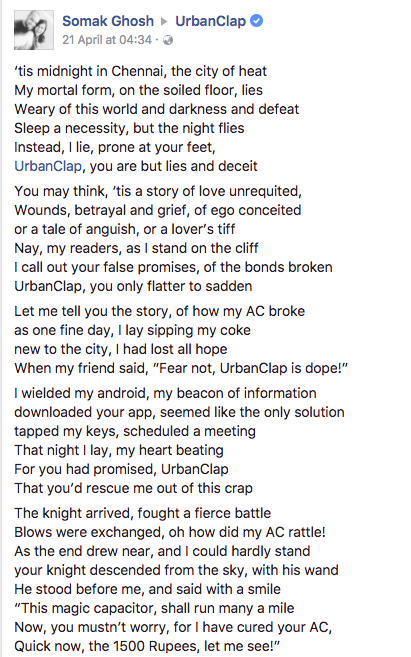 He said it wasn't a “story of love unrequited; wounds, betrayal and grief, of ego conceited; a tale of anguish; or a lover’s tiff,” but a cry out to the false promises from UrbanClap. 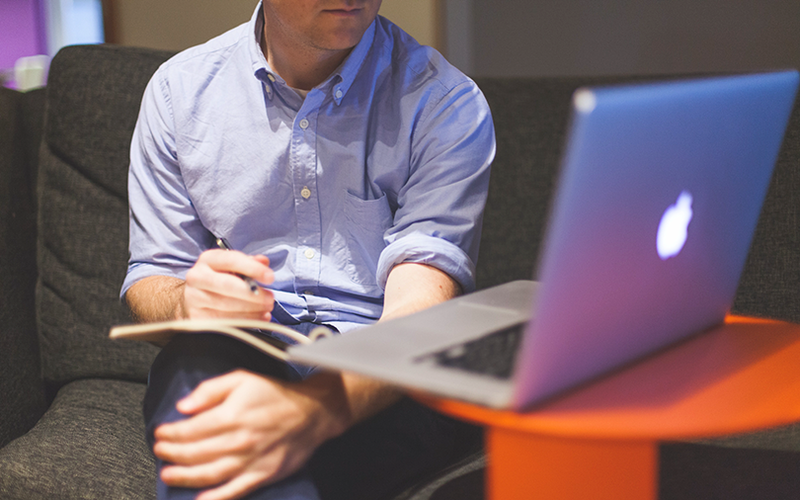 It assured that it was the company's "job to get this fixed and if the professional isn't one, we shall have him nixed." The conversation continued. Ghosh responded, saying he hoped the company will keep its word. 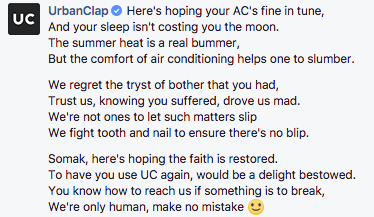 UrbanClap then fixed the issue and wrote another set of beautiful lines on his Facebook post. 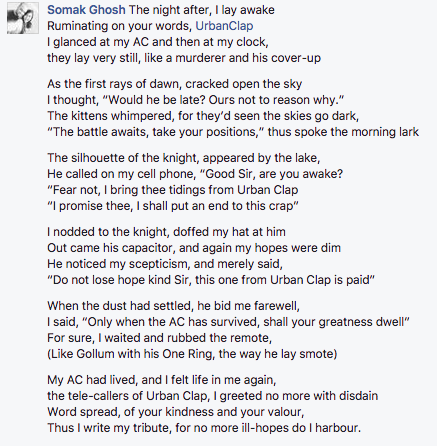 Ghosh later wrote a detailed response, again poetry at its best, acknowledging UrbanClap’s swift response and said it fixed the issue for no additional payment. And that marked the close of a rather unusual interaction between a customer and one of India's consumer internet startups!